The first-year honours admission tests of seven colleges affiliated with Dhaka University (DU) under academic session 2018- 2019 will begin on Friday with the entry test of science unit. The examination will be held from 3pm at 12 centres, said a DU press release on Wednesday. A total of 31,804 admission seekers have applied against 6,500 seats under the science unit. Meanwhile, the admission tests of arts and social science units will be held on November 10 (Saturday) and entry test of business unit will be held on November 16 (Friday). 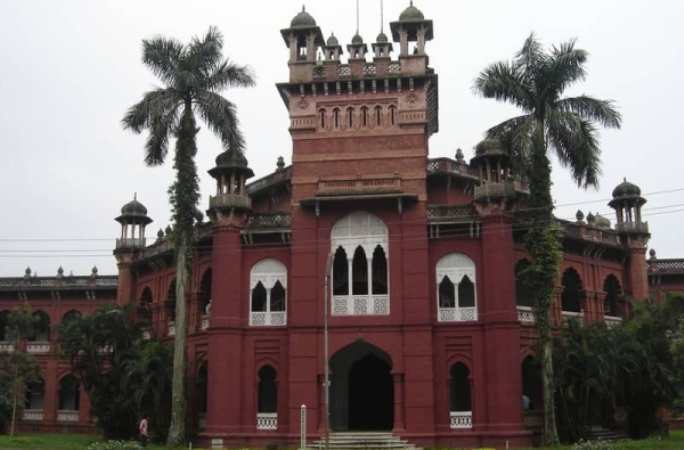 The seven DU-affiliated colleges are: Dhaka College, Eden Mohila College, Government Shaheed Suhrawardy College, Kabi Nazrul Government College, Begum Badrunnesa Government Mohila College, Mirpur Government Bangla College and Government Titumir College. Detailed information of admission tests is available on the university website-www.7college.du.ac.bd.